You have listened to me talk about painting for years so you know that painting is a relationship. It is our relationship with each other, your relationship with the city and your memories and your relationships with the people who are sharing your life with you. Your feelings and sense of place are evoked because the paintings are also the unique relationship that I have with the paint and the image is our common language. Every day that I am in the studio, this relationship deepens and it makes each painting an individual that carries tremendous energy and movement. It is for this reason that this year again you will find no prints and why the paintings continue to carry their value. What is more pleasantly startling than to walk into a space and to be surrounded by strong artwork that participates with you, penetrating your thoughts and changing the way you feel. The city evolves like we do, places are defined and redefined. Spaces are rethought and re-understood and our human experience shifts when we question our memories that are anchored to those spaces and can now find no grasp even as we experience the pleasure of new anchors unfolding. Taking the High Road. 10" x 10"
A Bear's Pantry. 10" x 10"
The 95 was full. 10" x 10"
Ambling towards Ambleside. 10" x 10"
The Subtle Distraction. 10" x 10"
Morning's North. 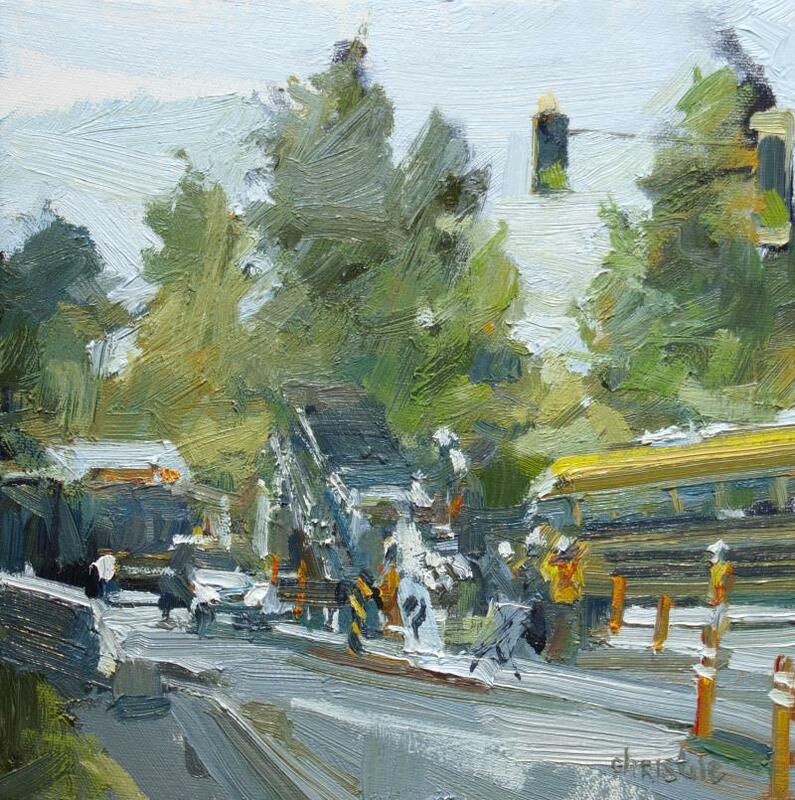 10" x 10"
Busy, bustling and buses. 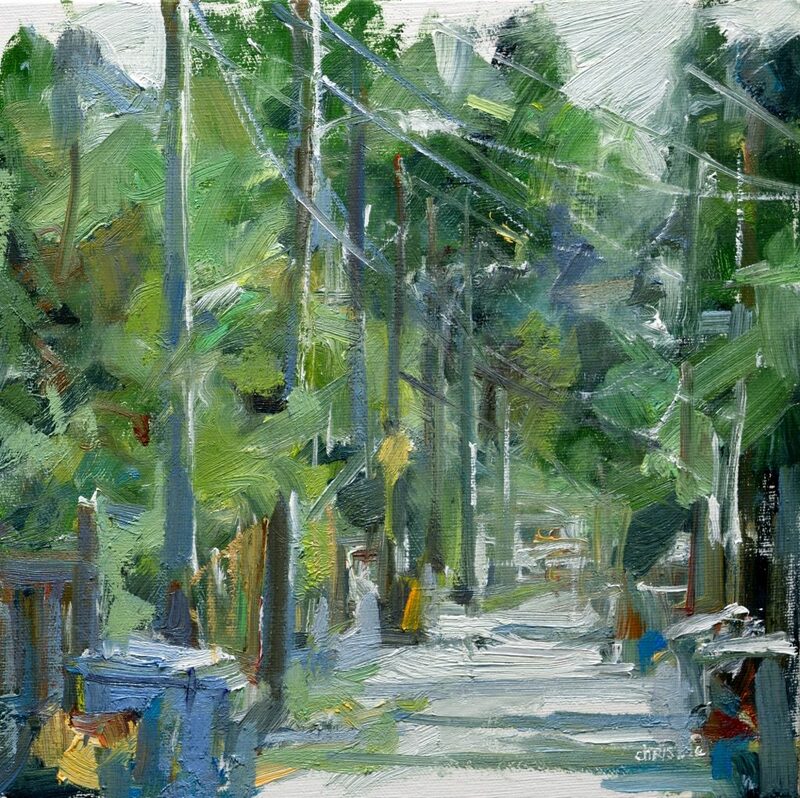 10" x 10"
The Alley near Maria's. 10" x 10"
Side Winding though Stratchcona. 10" x 10"
Sitting still. 10" x 10"
Coal Harbour morning. 10" x 10"
Standing Guard. 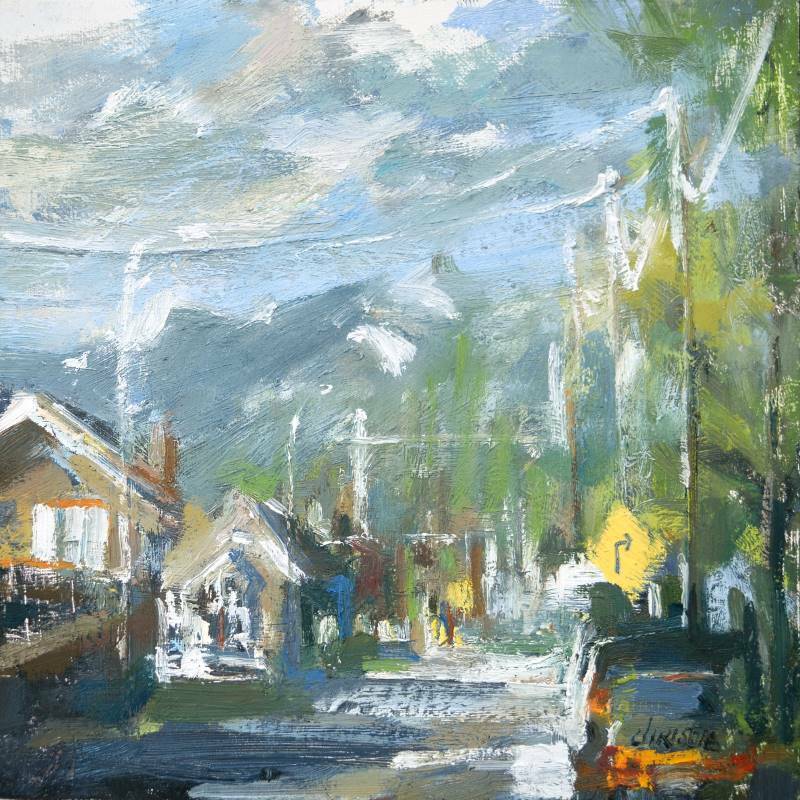 10" x 10"
Dundarave Village. 10" x 10"
Mid Week beach visit. 10" x 10"
Coal Harbour Parking. 10" x 10"
The After Lunch Walk. 10" x 10"
High Barnet Marine Park. 10" x 10"
Standing near the top of the world. 10" x 10"
Discussing the day's details 10" x 10"
Northwards towards Point Grey. 10" x 10"
YVR North. 10" x 10"
Cycling into Summer. 10" x 10"
A quick getaway. 10" x 10"
The Commercial on Clark. 10" x 10"
322 Water Street. 10" x 10"
Neighbourhood Moments. 10" x 10"
A little slice of life. 10" x 10"
Summer work schedule.10" x 10"
Creating new definitions. 10" x 10"
Walking to the studio. 10" x 10"
Rolling Vistas. 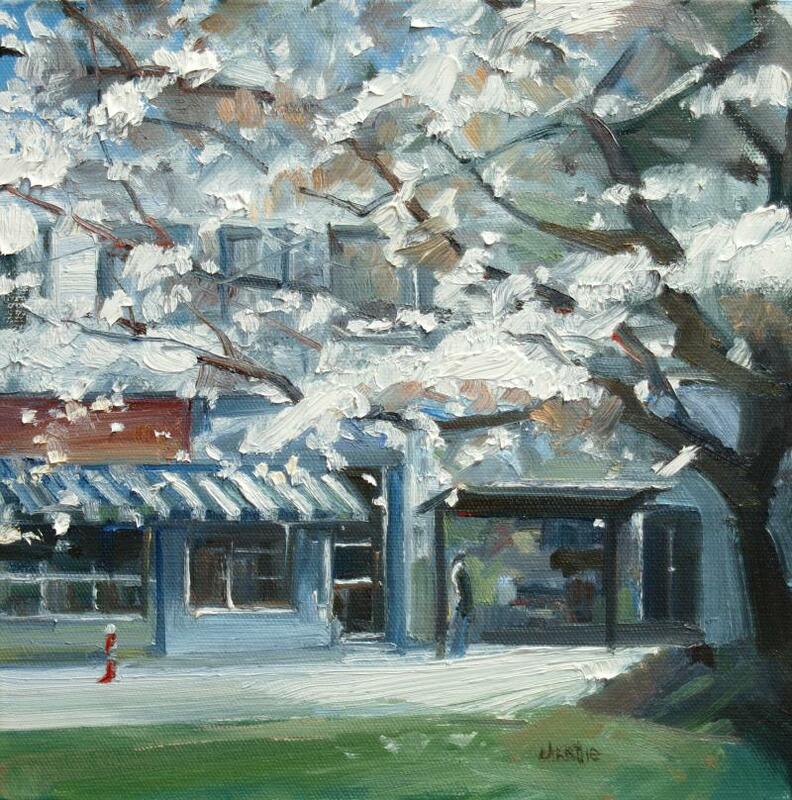 10" x 10"
The Cedar Mill Port Moody. 10" x 10"
Groceries on Dunbar. 10" x 10"
From across the way. 10" x 10"
Early Romance. 10" x 10"
Sunday on Salt Spring Island. 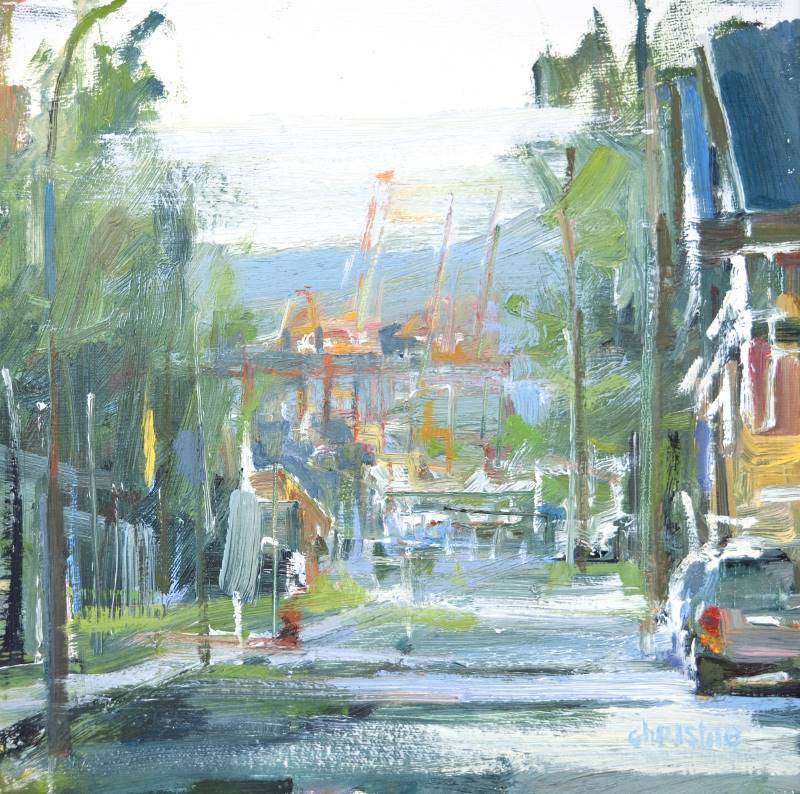 10" x 10"
Neighbourhood moments passing through. 10" x 10"
Saturday Morning Hikes with Sabrina. 10" x 10"
A Moment from Summer. 10" x 10"
Don't Blink. 10" x 10"